As I’m walking in the freezing cold in the city, I ponder the most random thoughts. This weeks nagging question was “why is a venti dark roast cheaper than a grande mint hot tea at Starbucks?” The venti is like $2.58 and the grande tea is like $2.75?! Baffling. But I guess that Mint Majesty tea is a hot commodity :/ <— That stuff is damn good if you want some yummy tea and not coffee! (Plus the tax in DC is insane! The grande tea is actually only $2.45 or something, but add another 30 cents of tax!) Thankfully I am blessed with an endless supply of gift cards…otherwise this Starbucks obsession would not be possible. A little thing called honesty. It’s all about taking it slow and not having expectations. Sometimes we just have to get lost! Innocence and childhood is too short. It’s hard to do, but you can. You need to be the true YOU all the time. This was so honest and real in so many ways. You can relate it to more than just motherhood too! I could have written this myself! This awesome badass women KNOWS what’s real! Omg! IN LOVE! This is another golden post! So so so good! When you have chronic pain, fitness can be the last thing on your to-do, but you can! Great post with all the questions you should be asking yourself! + What Are Your Thoughts On The Paleo, Gluten-Free, IIFYM, Low Carb Diet? Just an updated list to keep in mind! + What Makes Non-Dairy Milk Shelf Stable? Or food allergy college student, haha! In case you want to do the reaching out! Blogging or creating, be brave in all you make! Great resource list my dear friends! Don’t let yourself be cut short! Am I the only blogger who doesn’t like guest posting? Sharing, caring, and being nice! Well I just added a bunch to the list! What exactly are you’re end goals? I really do want to care….but…. Interviews can be pretty damn nerve-racking! When you work from home, take these important wellness steps! I love these! Now I just need a house to paint…. 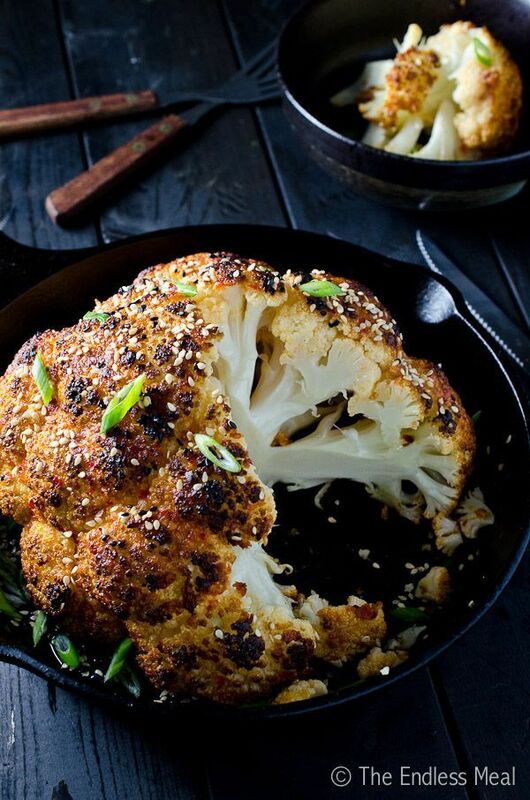 Whole Roasted Sesame Ginger Cauliflower. This winter veggie is just so wonderful! 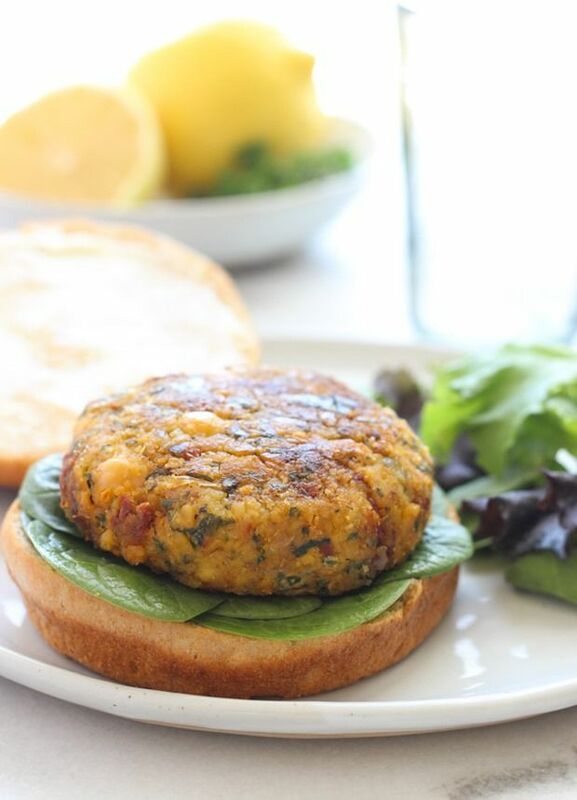 Chickpea Spinach Burgers. Okay, these burgers look awesome too! 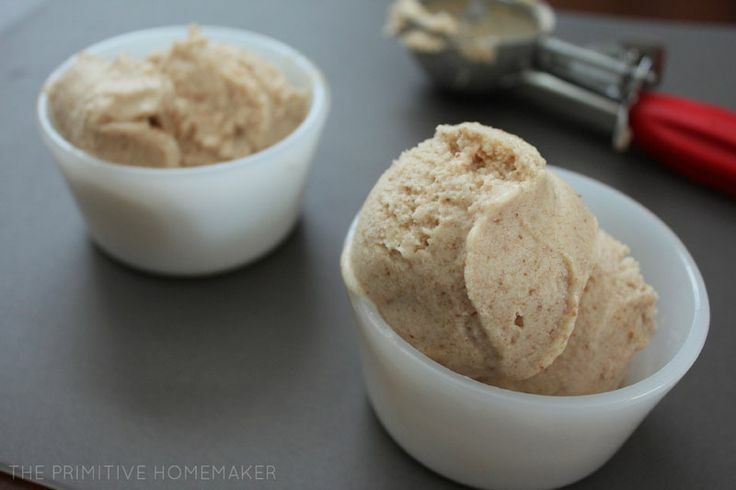 Coconut Tulsi (Holy Basil) Ice Cream. Okay…let’s just safe this one for the first warm day! 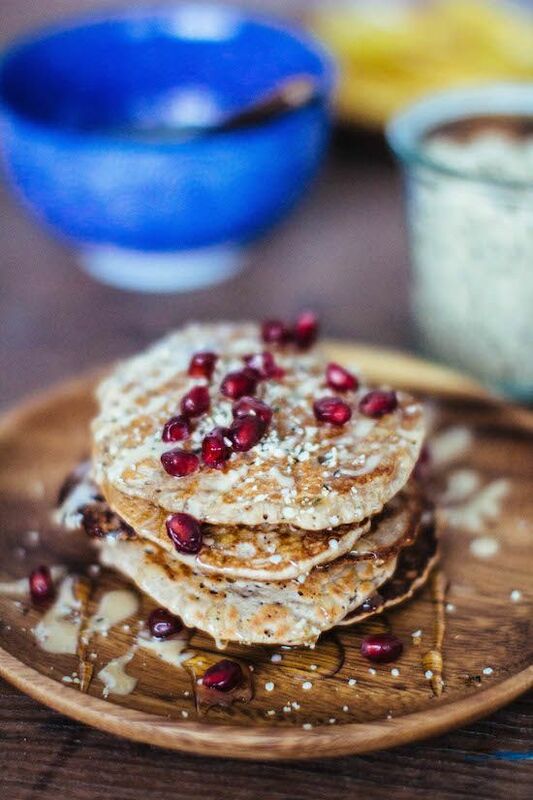 Fluffy Vegan and Gluten-Free Buckwheat + Oat Flour Pancakes. You can’t get any better! 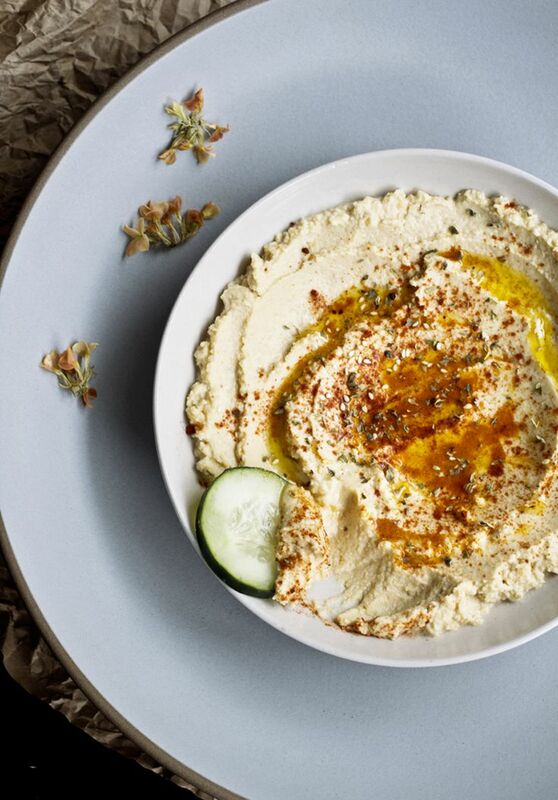 Sesame Cashew Chickpea Dip. She was ever so humble to call it dip too! 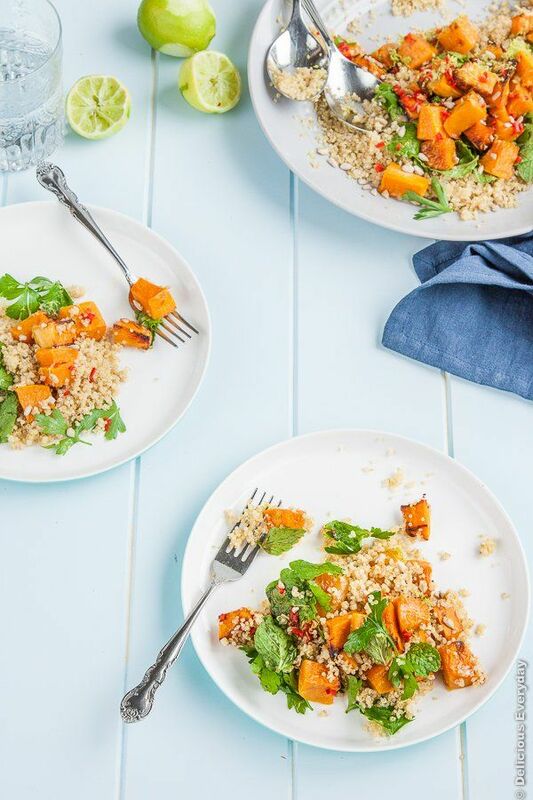 Lime, Chili, and Roasted Pumpkin Quinoa. Okay wow….I need this now! 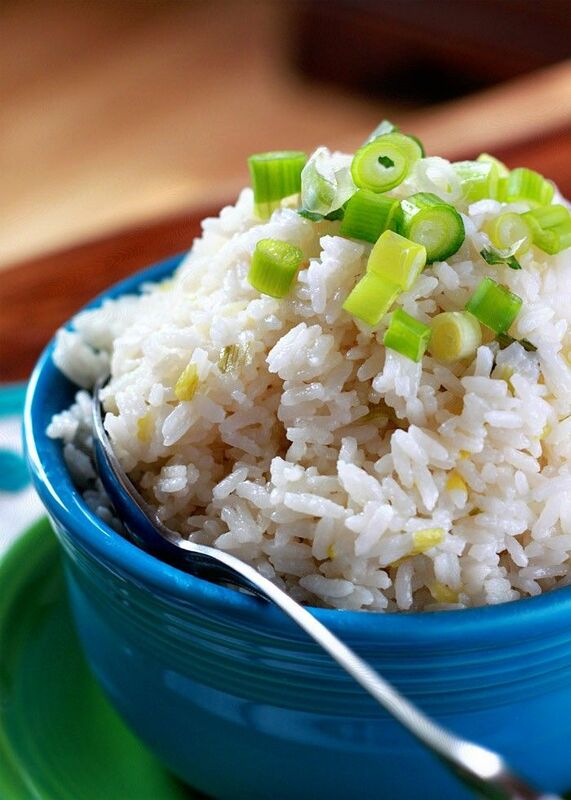 Sticky Coconut Rice with Scallions. Sweet and savory and o so good! 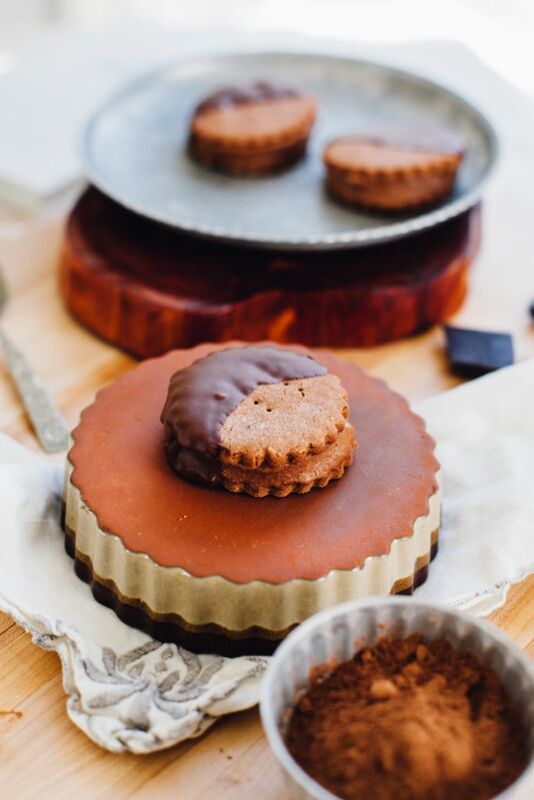 Chocolate Banana Graham Ice Cream Sandwiches (Vegan, Gluten-Free). Really?! How can you not want one!? 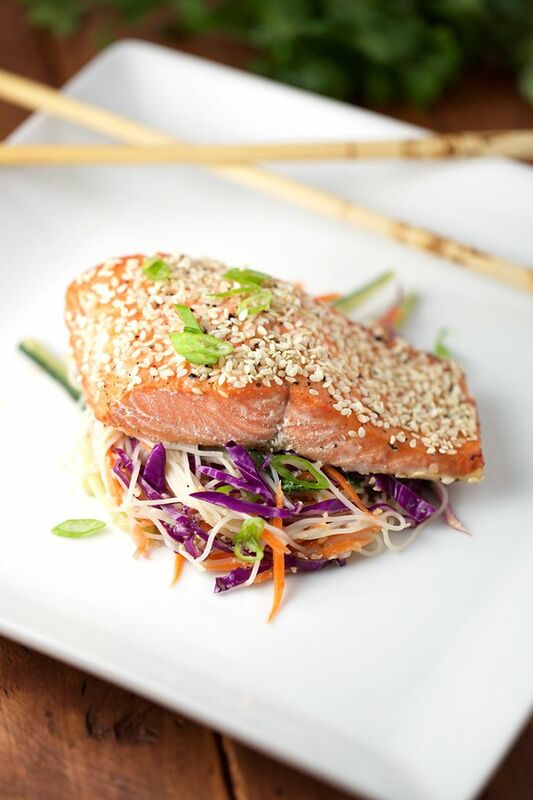 Honey Lime Glazed Salmon with Sesame Rice Noodle Salad. This for dinner…everyday! + Coffee…but I think that’s a given! I don’t drink it for the caffeine. I really do drink it for the taste! It even kills my tummy…but I love that damn taste! + Great strength training workouts this week! It’s felt really good, better than yoga this week! + Half way through the Spring semester :O Now I have to doing my housing application this weekend though for the Fall…..
+ Do you drink coffee for the caffeine or the taste? + What random thoughts/questions have you been pondering this week? + Anyone else love that Mint Majesty tea? A lovely combination of flavors for a healthy, quick, delicious breakfast recipe for one! Cocoa Banana Cinnamon Quinoa Flakes are also gluten-free, vegan, nut-free, but protein-packed! Hey, guys! I decided to link-up to the lovely Amanda‘s Thinking Out Loud party! I love reading everyone’s random posts so I might as well do one of my own as well 😉 Plus a foot update! Well, it actually hurts the most after I have been sitting or laying down and get up and take those first few steps. O man it hurts like hell. But then once I get the blood flowing down there it lets up a bit, but it still hurts, but in a different way. I think it is on the mend though, fingers crossed! And now we might as well dive right into the post, so let’s get to it! 1. 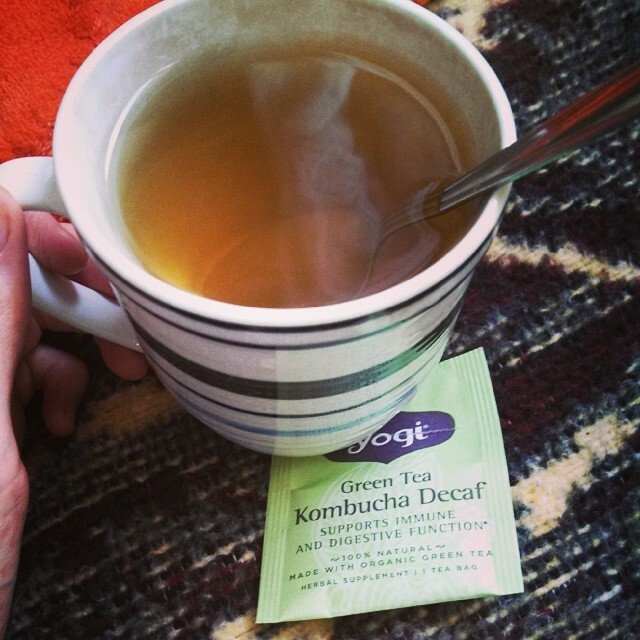 I am totally in love with this new Green Tea Kombucha Decaf from Yogi! I have been having it every day and it is so good! It actually is a passion fruit flavor and I am normally not one to go for fruity teas, but this one just works perfectly! I need to go pick up more boxes at the grocery this weekend. I love trying new teas, but that also leads to an overflowing tea shelf in the pantry 😉 A girl needs a wide tea variety in her life right? 2. So my mom forgot to tell me she ordered me a subscription to Yoga Journal for Christmas! How could she!? So when it arrived in the mail last weekend I was so excited to dive in. It is a really interesting magazine and the articles go really in-depth on all aspects of the yogi life and meditation. I am totally loving it! So much better then those airbrushed Fitness magazines. (If it strange that I am still getting Fitness even though my subscription ran out like a year ago? Haha!). 3. I am so excited! Blend Retreat was finally announced on Monday! It is being held from June 6th-8th back in Park City, Utah like last year. Guess what else? June 6th is my 18th birthday! (Hint, hint. Could the registration and plane fee be my birthday gift?…Mom.) You know what else is June 6th? My Senior Prom. Haha! But no worries because Blend > Prom. I also realized that Fitbloggin’ was June 26th-29th in Savannah, Georgia. Um, can I go to both? 4. So mid-terms this week. Yeah. I think that speaks for itself. Starting today with AP Latin, Pre-Calc, and Business Law. The next day will be AP Government, AP Psychology, Ancient History, and Health. Then the last day (when ever that may be) will be English and Photo. The schedule got all messed up because of the snow so I really don’t know when this semester ends, but when it does it will be…my final semester of high school! That means 1/2 a year, two more marking periods and I am a free bird! Ah, please, June, get here quickly! I need you in more ways than one right now! 5. I have a problem with spending money. No, it is not what you think. I don’t spend it…I save it. I can not spend money is more my problem. I have all these gift cards from Christmas and I keep looking online at all the things I have bookmarked in a wishlist folder and on my Amazon wishlist, but I just can not bring my self to take the plunge and buy anything. I even put items into the checkout cart using promotions and everything and then just stare and close the window. If I get so far as to calculate the shipping, well that ends it once I see it will be like $10 extra! I have always been this way. It just hurts my mind and soul too much to spend money. So when I get real paper coinage…that gets saved. It does not stand a chance of actually being spent. I guess this is a good thing, but with gift cards…it is pretty stupid. I just keep telling myself I will make the wrong decision on a purchase and then a few days later find something that I actually wanted and regret it. I hate choosing, I hate spending. That is why with all these college apps, testing, college expense, etc. It breaks my heart to spend all that money when we don’t even know where I will get in and the fact that 75% of applications are a waste. 6. Hey, guess what! POPSUGAR reached out and asked me to be a featured Select Blogger (an exclusive program for bloggers who are hand-selected by their editors!)! I will now be writing posts and articles on fitness and healthy living topics for them. I am so excited and thankful to get started with them. Just more good things and info to come and I can’t wait! Well, I think that wraps up the most interesting thoughts on my mind. I have a bunch of awesome posts coming your way over the next few weeks too. I just need to sit down and find some time to write them up! But until then, I will leave you with a random recipe I made a few months ago that never got blogged. Delicious Cocoa Banana Cinnamon Quinoa Flakes! 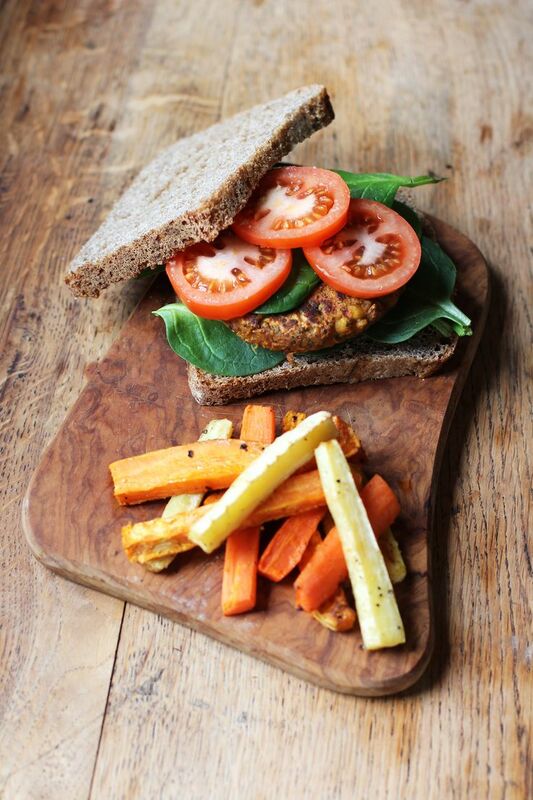 It nails all the points for a delicious and healthy breakfast! In a microwave safe bowl combine the quinoa flakes, cinnamon, and cocoa powder, stir. Mash up you banana until it is a puree and add that, plus the water and extract to the bowl and stir to combine well. Place the bowl in the microwave and cook on high for 2 minutes. 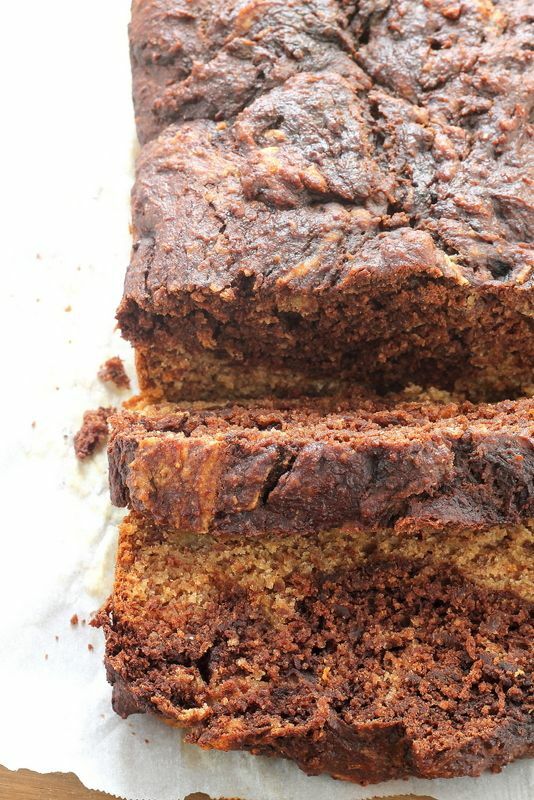 Remove and top with banana slices and cinnamon. + What magazines do you subscribe to? 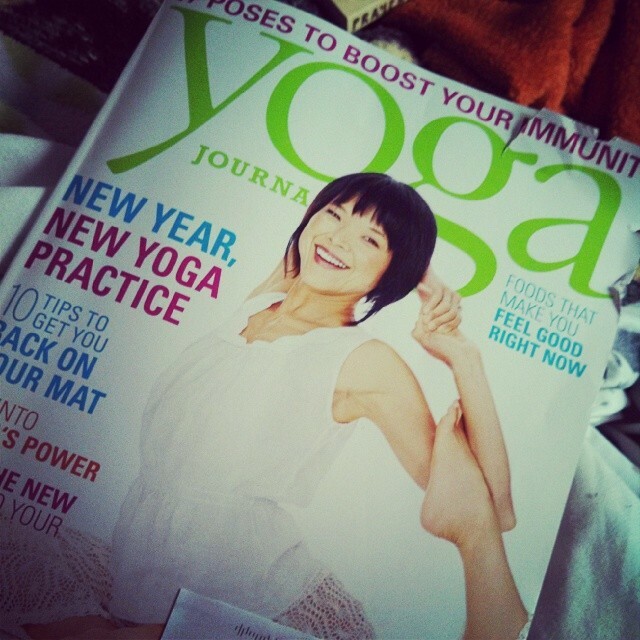 I get Delight which is only seasonal and now Yoga Journal. + What is you favorite tea? I love trying new ones so give me suggestions!